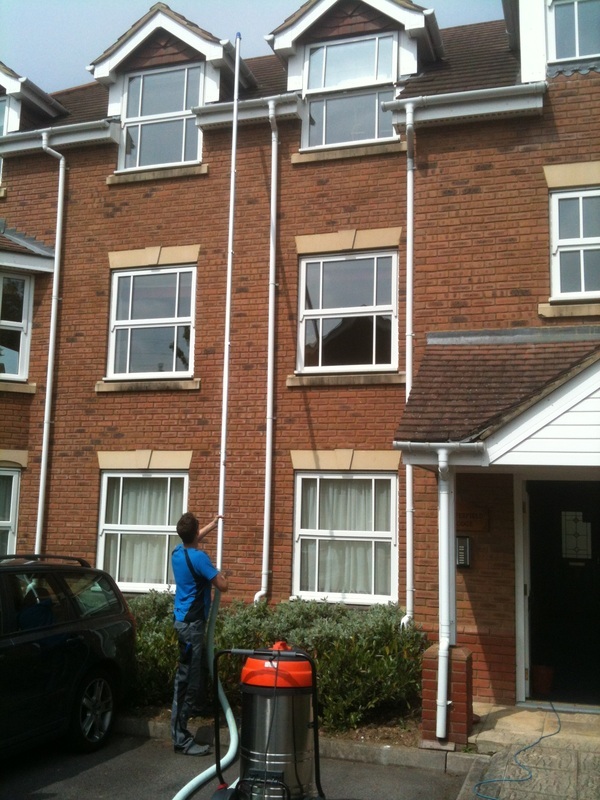 How we clean your guttering - Andover Gutter Cleaning .......Cleans the clutter from your gutter! Gutter Cleaning.....how we remove the clutter from your gutters!! We have invested in the latest gutter-cleaning technology, the GutterVac Cleaning System. This system is very safe, adaptable and reliable. Our system revolutionizes the method in which gutters are cleaned. Using pole mounted vacuums we can easily reach and clean up to 50 feet (approx. 5 storey buildings) without the expense of scaffold towers or the danger of ladders. We can cater for pretty much any size, type and layout of property. Our system can reach up to heights of approx. 5 storey buildings! We use our system in all areas or industry from schools, Offices, Apartments (as shown in the photo)....anything with a reachable gutter system. 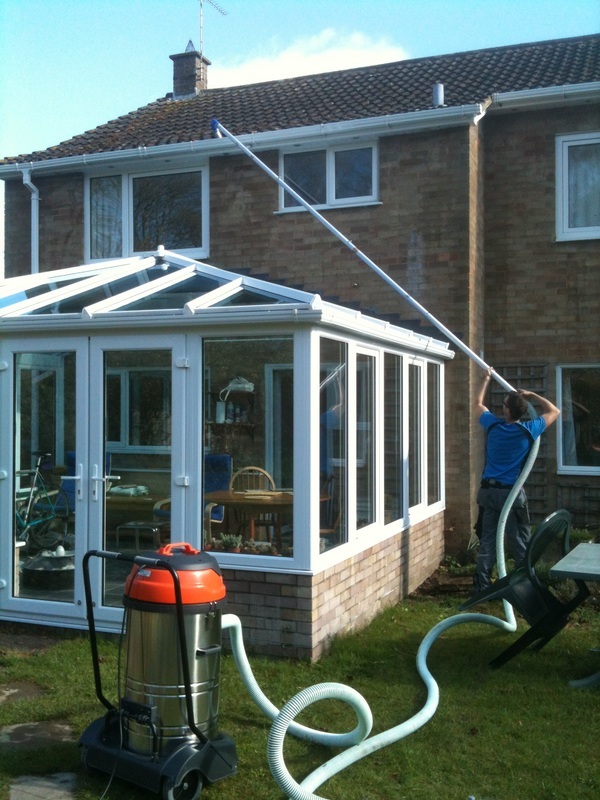 Conservatories are no obstacle for the us at Andover Gutter Cleaning.........We just reach over them!